This certified Mercedes-Benz includes: BLIND SPOT ASSIST Blind Spot Monitor SAIL PATTERN TRIM SMARTPHONE INTEGRATION Smart Device Integration WHEELS: 18" 5-SPOKE ALUMINUM (STD) Aluminum Wheels BLACK HEADLINER CONVENIENCE PACKAGE Auto-Dimming Rearview Mirror Universal Garage Door Opener COMPASS -inc: WHEEL LOCKS (DIO) Wheel Locks *Note - For third party subscriptions or services, please contact the dealer for more information. * When you purchase a vehicle with the CARFAX Buyback Guarantee, you're getting what you paid for. This vehicle has met all the exacting standards to be classified Certified Pre-Owned. 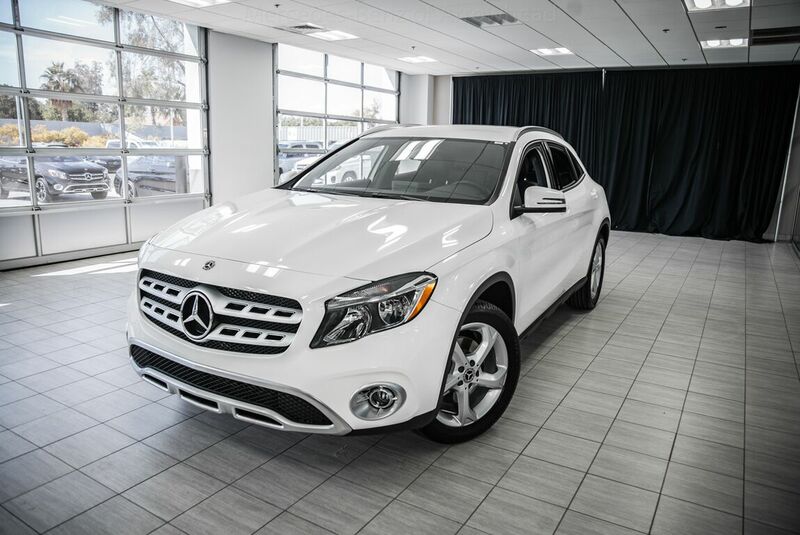 On almost any road condition, this Mercedes-Benz GLA GLA 250 offers solid performance, reliability, and comfort. The Mercedes-Benz GLA GLA 250 is economically and environmentally smart. Mercedes-Benz clearly delivers on its promise to provide a fuel-efficient vehicle that has the great qualities you need in a vehicle. Get more for your money with this well appointed vehicle, including a factory warranty. Driver and passengers will celebrate the comfort and convenience this Mercedes-Benz GLA offers with its well-considered features. Visit your Mercedes dealer today serving Phoenix, North Scottsdale, Tempe, Gilbert, Mesa, Chandler, Scottsdale AZ.